The Constitution of Bhutan bestows immense responsibilities on the Members of Parliament (MPs) as elected representatives of the people. Further, His Majesty The King has reposed high degree of trust and confidence in the MPs to not only fulfill their constitutional obligations but also play a leading role in the process of nation-building. MPs hold positions of significant authority and responsibility to determine not only the present circumstances but also influence the future direction of the community, economy and thereby society at large. It is, therefore, crucial for them to have a holistic understanding of important national issues and aspirations, and the required knowledge and skills to shoulder their responsibilities effectively. 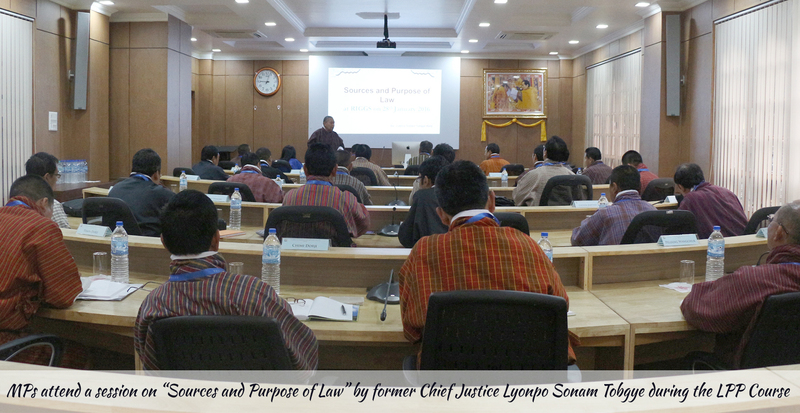 Considering the immense responsibilities bestowed on the MPs, the two-week tailor-made Leadership Program for Parliamentarians (LPP) is designed to provide a platform for discussion on important national goals and challenges, create awareness of values and to impart some of the key skills needed for effective leadership and governance. The course comprises a blend of lectures, interactive sessions, mock presentations, and group discussions.